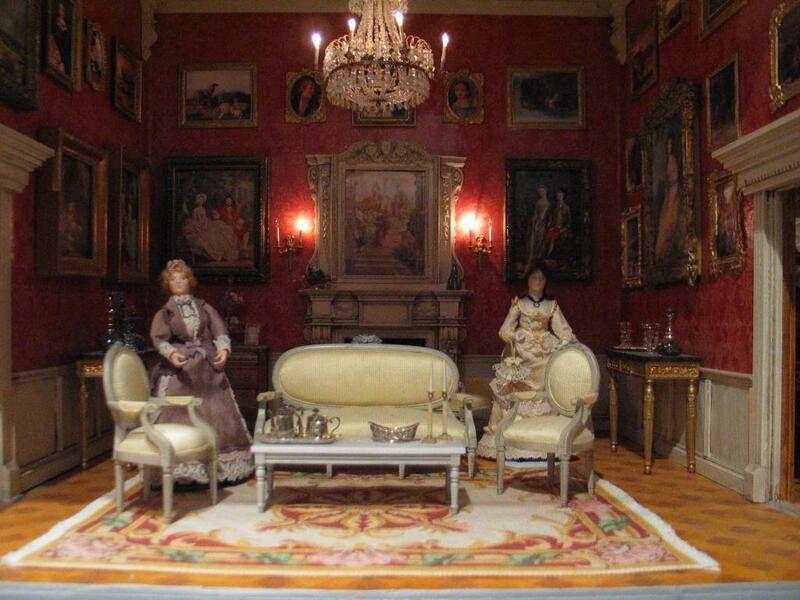 A sitting room in the mansion dollhouse (Xandie called it a palace) in the Rothenburg toy and doll museum. Xandie says that the doll on the right is a princess and the one on the left is a maid. All of the rooms were extremely well appointed.